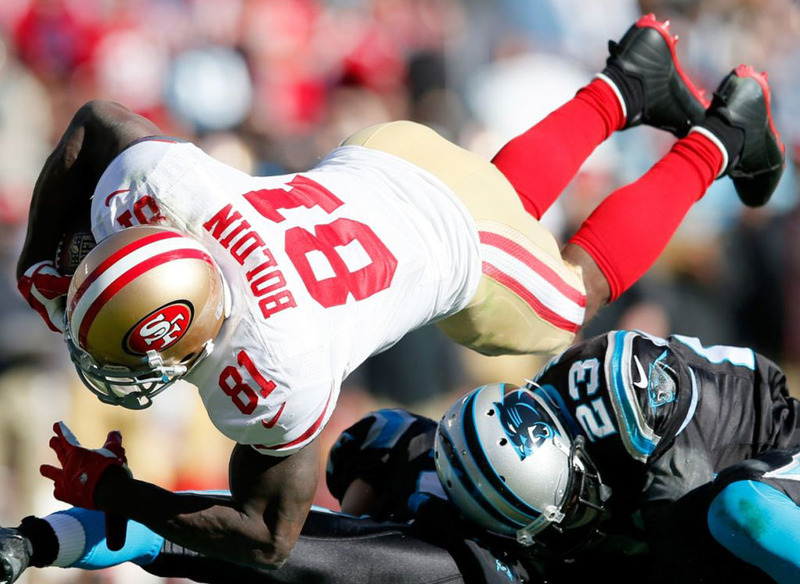 Boldin leads Niners to NFC title game in exclusive Jordan cleats. 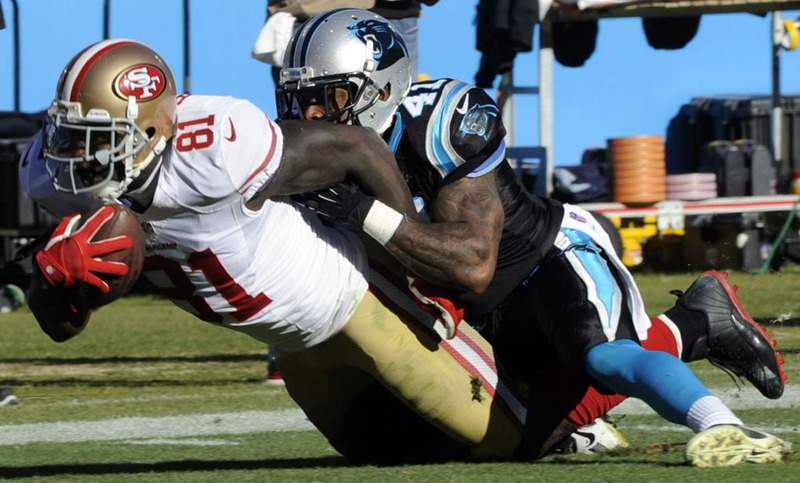 Leading the way in the San Francisco 49ers' 23-10 playoff victory over the Carolina Panthers was Anquan Boldin, who caught 8 passes for 136 yards. 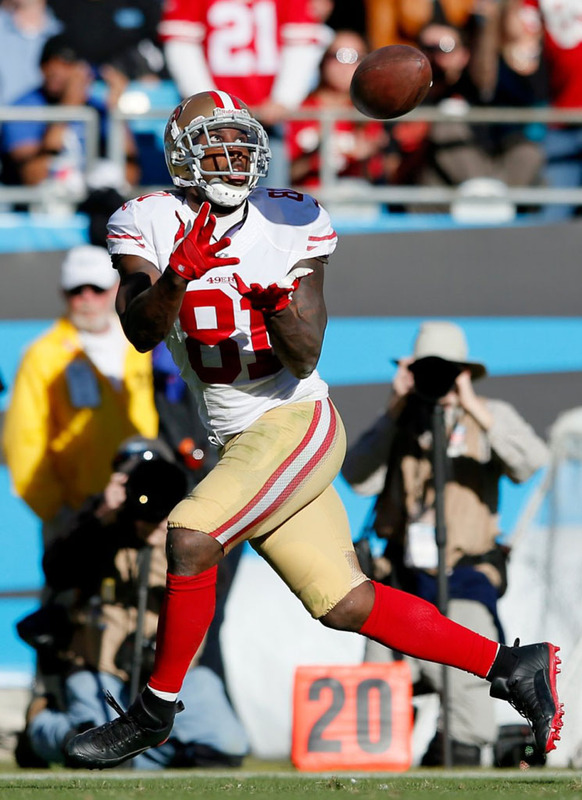 Boldin did his damage wearing a cleated Player Exclusive colorway of the Air Jordan 12. 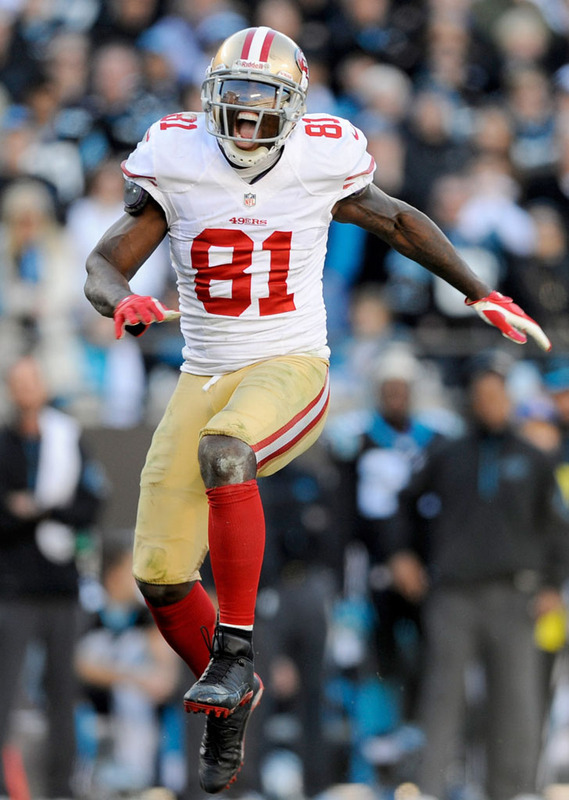 Boldin's PE is black-based with patent overlays and a red plate. 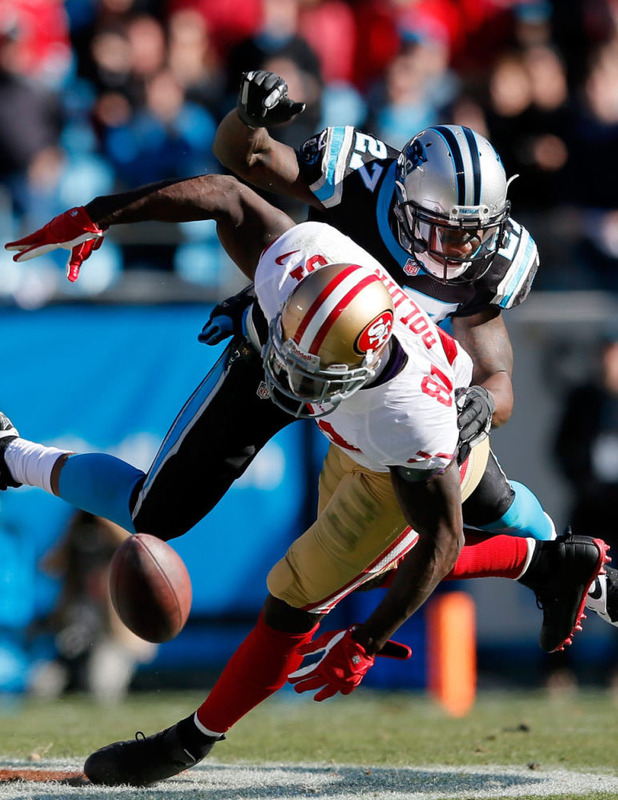 He joins quarterback Colin Kaepernick and Team Jordan athlete Michael Crabtree as Niners that have worn Air Jordan PEs this season.